C&IT welcomed directors from the top 50 agencies at the Savoy, in partnership with Singapore Tourism Board. Directors from the top 50 event agencies gathered for an exclusive dinner at the Savoy last night, in partnership with Singapore Tourism Board. Attendees were greeted with a champagne reception as they mingled with other directors, C&IT editorial staff and representatives from Singapore. A three course meal followed, with ravioli, chicken and a luxury chocolate brownie paired with red and white wines. 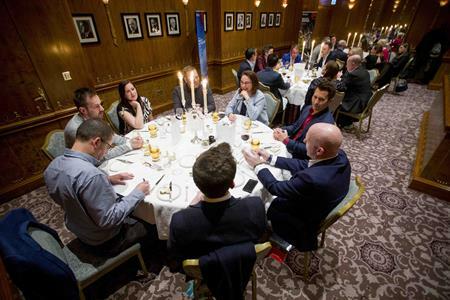 Industry issues were debated at each table throughout dinner, including M&A activity; talent acquisition; client and supplier relationships and destination choices. Each table fed back to the room individually, sparking further comments from the group in an evening of thought-provoking discussions.